Today I’m celebrating exactly six months of keeping this online gardening journal. As my garden overgrows, my cup overflows! I am thankful for all. I had just a glimmer of an idea of what I was getting into back on March 5th, and have grown more and more fascinated with the intricate workings of our big, beautiful Coppertop gardens. My current interest in seed harvesting has given me a deeper perspective on yearly cycles of sowing and reaping. I appreciate all. Six months in, countless months to go — and I’m commemorating six months by sharing a few of the gorgeous and vigorous dahlias in the lower garden beds. Photos can be deceiving; the yellow are “dinner plate” size, over 10 inches wide, surprising me by opening a week or so ago. 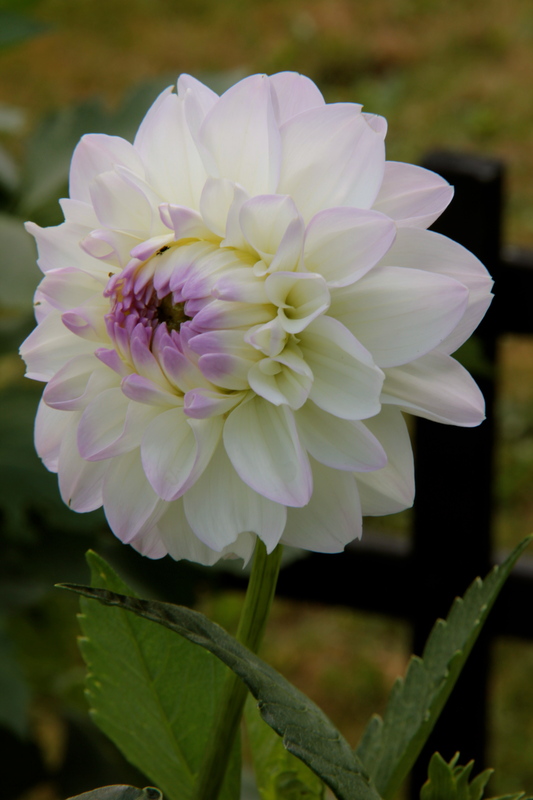 Some of the largest dahlia plants are loaded with buds and are yet to bloom. I look forward to all! This entry was tagged Coppertop, dahlias, gardening, Olympic Peninsula, Washington State. Bookmark the permalink. Our dahlias are also continuing to bloom. I have the very same three that you picture here. 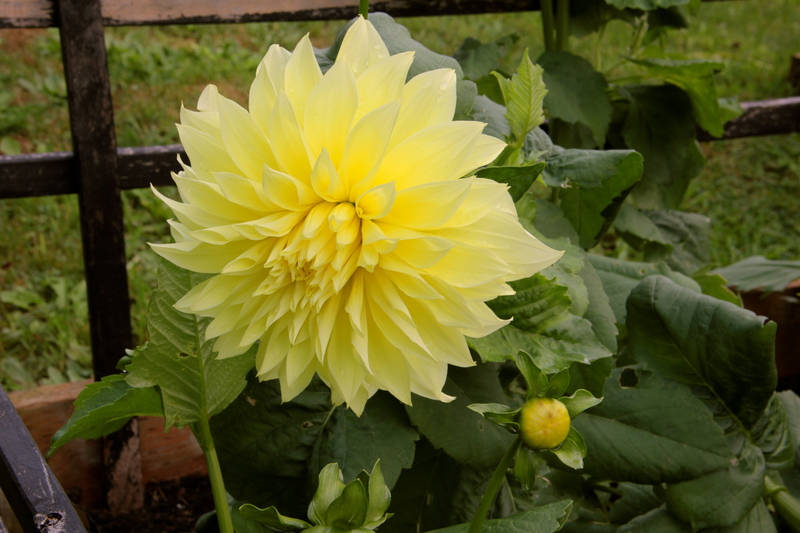 Aren’t the dinner plate dahlias great? We also have a dinner plate that is a dusty rose color this year. 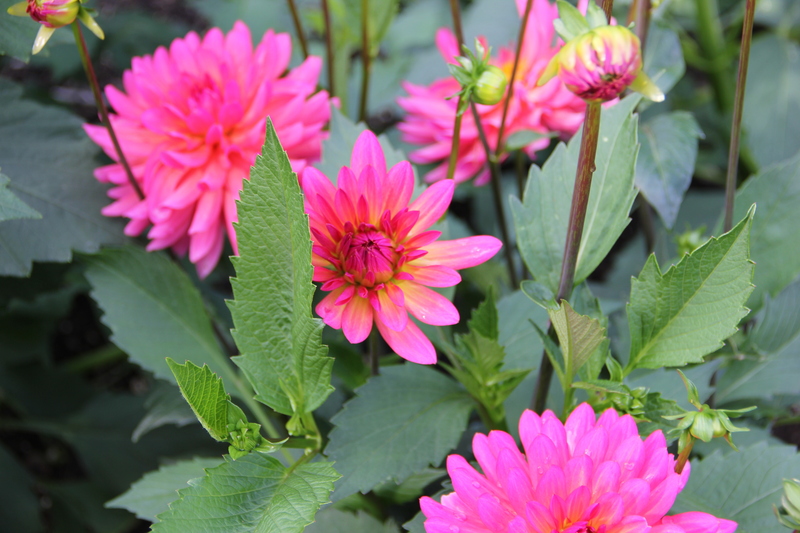 Yes, MJ, these dahlias are so cheerful. Amazing that you have the same varieties! Dusty rose sounds lovely. I had no idea they would get huge — my impatience shows at these higher altitudes — and went out to see them toppled with stems broken before I supported them fully. SO we’ve enjoyed plenty of dahlias indoors in vases!